The City of Sydney’s Public Art Advisory Panel was initiated by the Lord Mayor Clover Moore and appointed by Council in 2007. It comprises professional artists, curators and architects who provide advice to the City of Sydney on matters relating to public art. Felicity Fenner is a curator, writer and academic. In 2018 she was appointed to the role of Associate Professor at UNSW Art & Design, Sydney. Prior to that she was the inaugural Director of UNSW Galleries (2013-2018). Her dynamic program of international contemporary art swiftly establishing the new Galleries as a leading centre for art and ideas. Felicity is a renowned authority on public art and has been a member of the City of Sydney’s Public Art Advisory Panel since 2007, becoming Chair in June 2018. In 2011–2015 she was the lead researcher on Curating Cities, a major Australian Research Council project that investigated the world’s best practice eco-sustainable public art. Delivered in partnership with the City of Sydney, a comprehensive and continuing public art database was subsequently realised. She recently authored a book about the role of public art in urban spaces across the globe, titled Running the City: why public art matters (NewSouth Publishing, 2017). As a leading curator of contemporary art, Felicity has curated more than 40 exhibitions of Australian and international art, including for the Venice Biennale, National Art Museum of China, Art Gallery of South Australia and the Museum of Contemporary Art, Sydney. 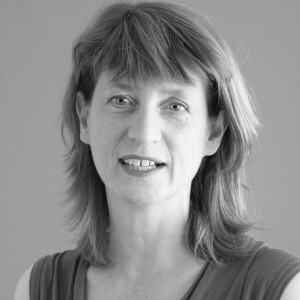 Judith Blackall is an independent curator and producer of contemporary art projects, currently the Gallery Curator and Manager of the National Art School in Sydney. She was formerly Head of Artistic Programs at the Museum of Contemporary Art Australia, responsible for the curatorial, registration, conservation and collections teams, touring exhibitions and off-site projects. She has worked in contemporary art galleries in Milan and Florence, the Museo Pecci in Prato and was exhibition coordinator of the first Florence Biennale Art/Fashion presented throughout the city in 1996. In 1982, with support from the Visual Arts Board of the Australia Council, Judith established an artist-in-residence program for Australians in Arthur Boyd’s Tuscan farmhouse, ‘Il Paretaio’ which she managed until 1990, as well as undertaking a range of other professional roles in arts organisations in Italy. Lisa Havilah is the Director of Carriageworks, Sydney. The Centre’s program is artist led and emerges from its commitment to reflect social and cultural diversity. From 2005 – 2011 Lisa was the Director of Campbelltown Arts Centre. Under her directorship Campbelltown Arts Centre pioneered a multidisciplinary contemporary arts program, bringing together artists and communities across disciplines to examine ideas through the processes of producing contemporary art. 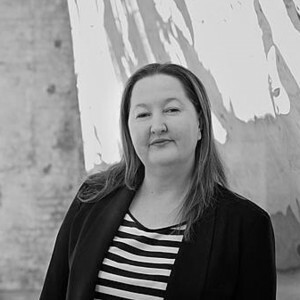 Lisa was previously Assistant Director of Casula Powerhouse Arts Centre (1998–2004). Lisa has lectured in Management and Organisation (Master of Fine Arts) at the College of Fine Arts, University of NSW. Previously she has been the Chair of Arts NSW’s Western Sydney Program which was responsible for the implementation of the NSW Government Strategy to deliver arts and cultural infrastructure across Western Sydney. Richard Johnson studied Architecture at UNSW, gaining the RAIA Prize for Design, the RAIA Silver Medal, and the NSW Board of Architects Bronze Medal. He graduated with First Class Honours in 1969. He was awarded a Commonwealth Postgraduate Scholarship and in 1977 was admitted to the degree of Master of Philosophy following study in Town Planning and Urban Design at University College, London. In 1976 he was admitted as a Member of the Order of the British Empire for Public Service in the field of architecture. Richard was appointed as architectural advisor to the Sydney Opera House Trust in 1998. He was awarded the RAIA Gold Medal in 2006, a Life Fellow in 2008, a Life Governor of the AGNSW in 2012, and a distinguished Alumni Award from UNSW in 2013. He is active in the professional and educational arenas and is an active member of the Royal Australian Institute of Architects (RAIA), and has delivered many public lectures, served on Award Juries and is currently a Professor of Architecture at the UNSW. Richard is a founding Director of the Australian Architecture Association (AAA) and is on the Board of the Australian Technology Park and the Redfern Waterloo Authority. Janet Laurence is a well-known Australian artist who works in mixed media and installation. Her work has been included in major survey exhibitions, nationally and internationally. Her work explores a relationship to the natural world from an architectural context. It extends from the gallery space into the urban fabric, and has involved in many public commissions and collaborations with architects and landscape architects and environmental scientists. Janet is a recipient of a Rockefeller Fellowship and a Churchill Fellowship for her research in environmental art. Anne Loxley is a curator and writer who works with contemporary artists both in and outside gallery contexts, in communities and in public spaces. In January 2011 she took up the position of Curator, C3West, for Sydney’s Museum of Contemporary Art and she maintains an active consultancy as a public art curator. A former Sydney Morning Herald art critic, she has published numerous essays and articles as well as edited many visual arts publications. In 2012 she was awarded an Australia Council grant to research recent public art in London and New York and was also a finalist in New York’s Alice Awards for Artists in Residence program at Frasers Broadway Sydney. She was guest editor of a special Australia/New Zealand issue (No 42) of the American journal Public Art Review. Anne was Curator and later Director, Public Art, for Sydney’s Olympic Co-ordination Authority; her recent public art projects include Jennifer Turpin and Michaelie Crawford, Windlines the Scout Compass of Discovery (2011) for the City of Sydney and Brook Andrew, Warrang for the Museum of Contemporary Art (2012). Leon Paroissien has been adjunct professor of design and architecture at the University of Canberra (2004 – 2010) and chairman of Object: Australian Centre for Craft and Design (2006 – 2012). He was the founding director of the Museum of Contemporary Art, Sydney, and of the Museum of Contemporary Art, Taipei. 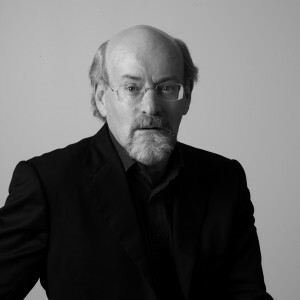 He has been active in professional museum organisations in Australia and abroad for over three decades and has recently contributed to international publications on art, museums and architecture. Leon served as the Chair of the Sydney 2000 Olympic Co-ordination Authority Public Art Advisory Panel from 1996-2001. Leon was the Chair of the City of Sydney Public Art Advisory Panel from its inception in March 2007 until May 2018.